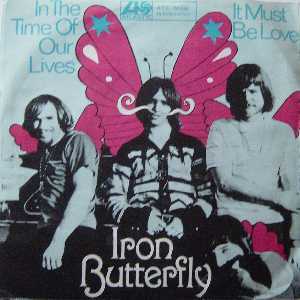 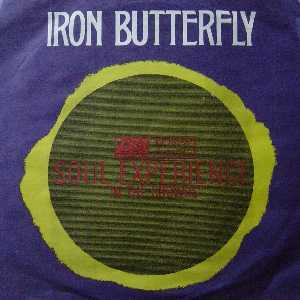 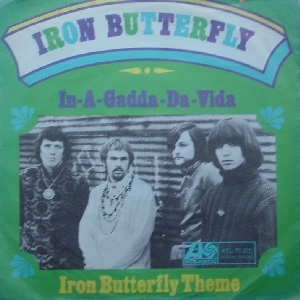 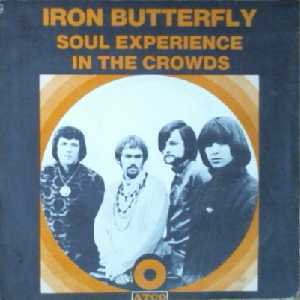 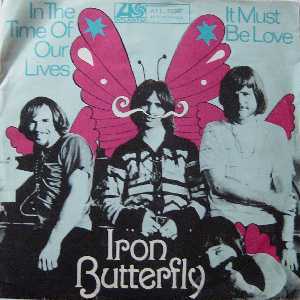 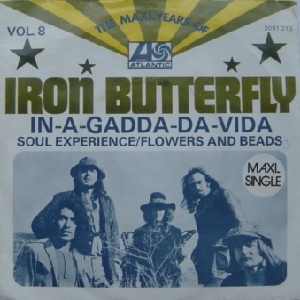 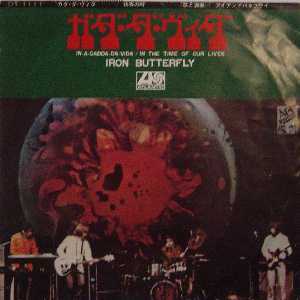 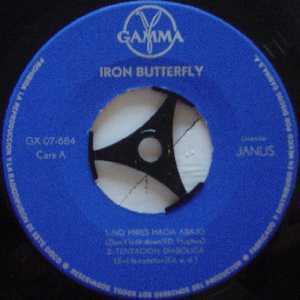 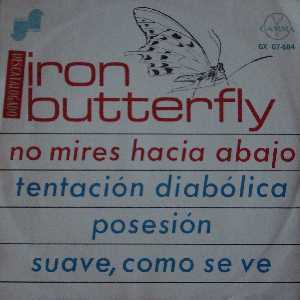 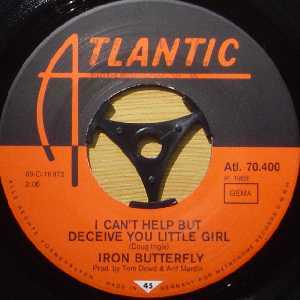 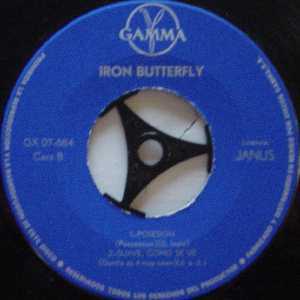 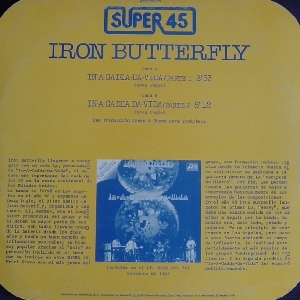 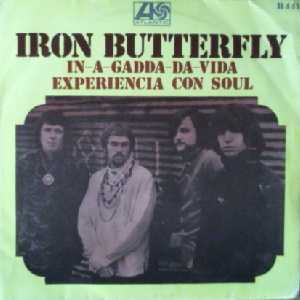 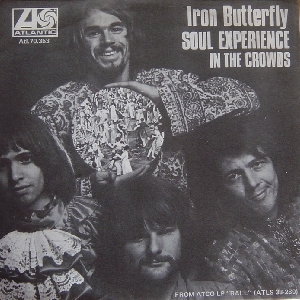 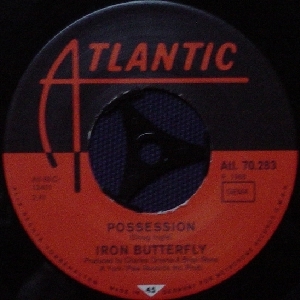 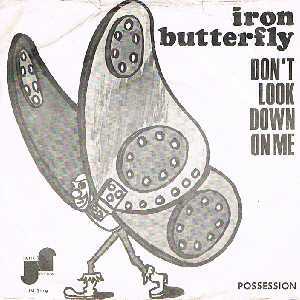 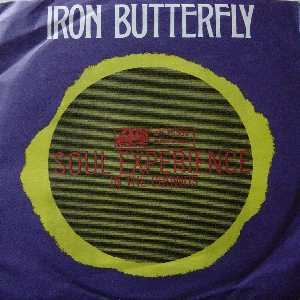 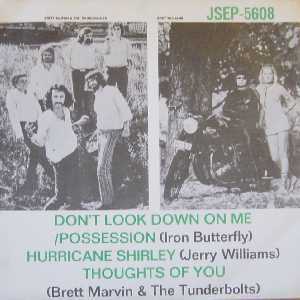 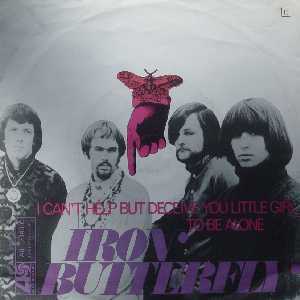 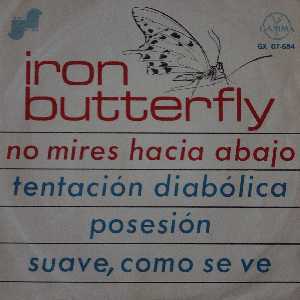 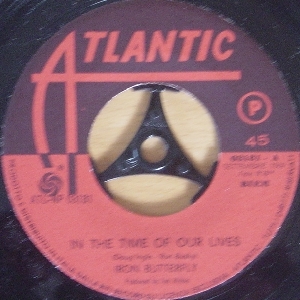 Welcome to all collectors and admirers of Iron Butterfly and their wonderful music. 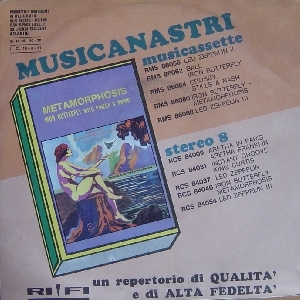 8-tracks, pocket discs, EP's, singles from the collections of Rick Pietrafesa and Bas Möllenkramer. 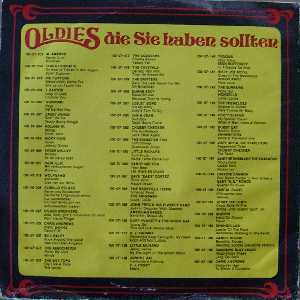  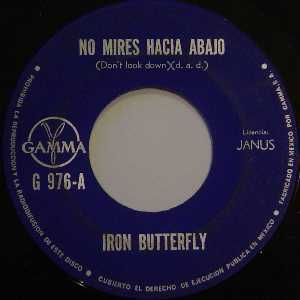 Some of these records are very common and some are very rare! 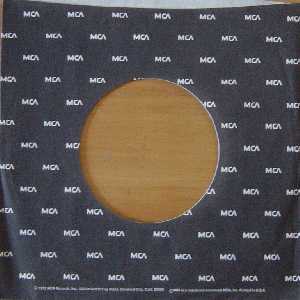 Below you will find the EP's and singles. 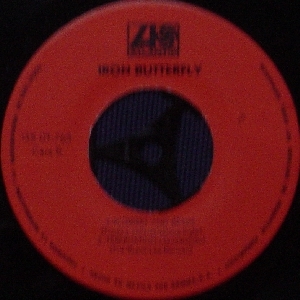 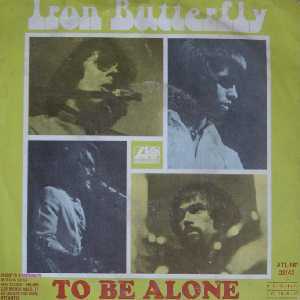 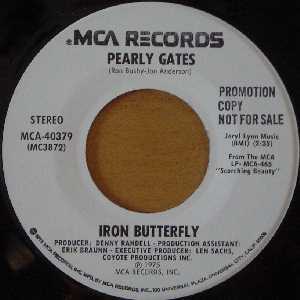 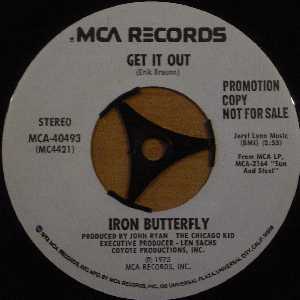 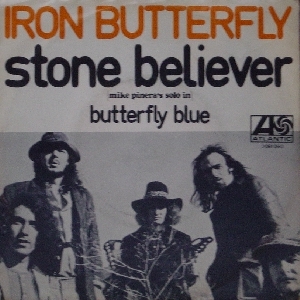 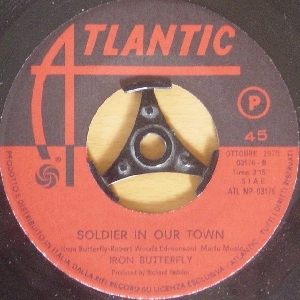 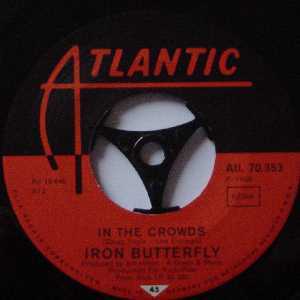 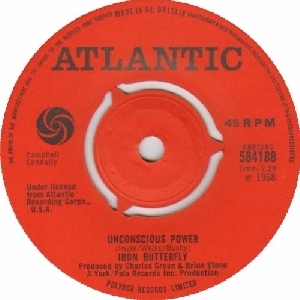 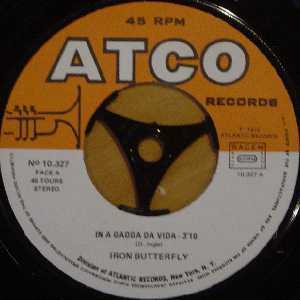 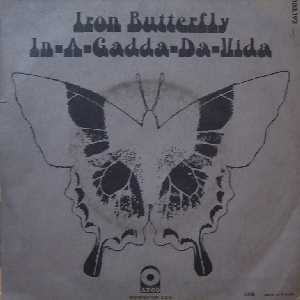 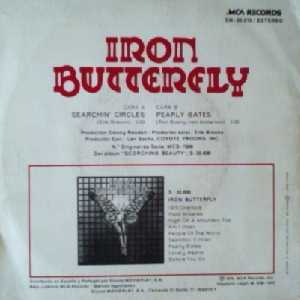 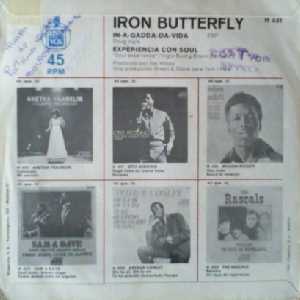 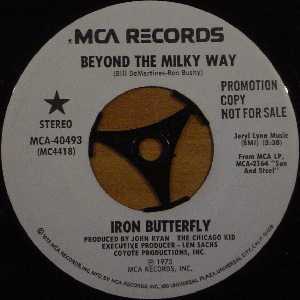 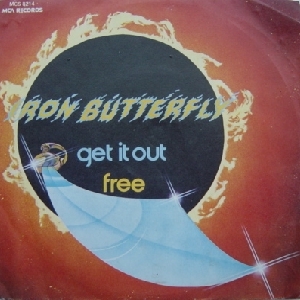 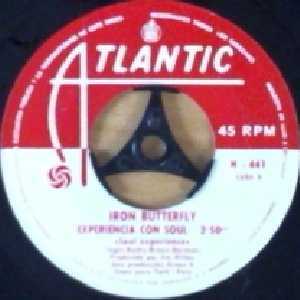 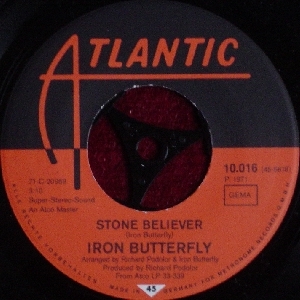 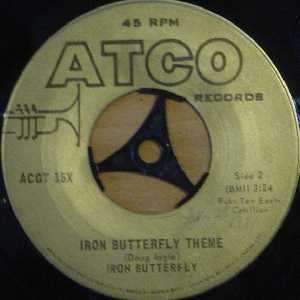 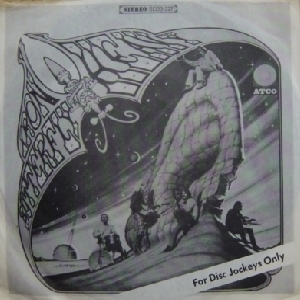 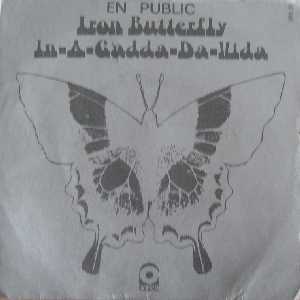 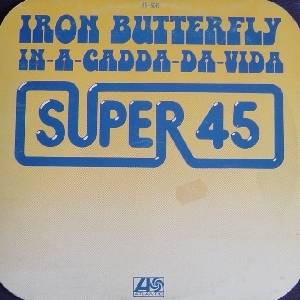 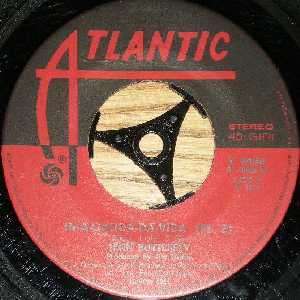 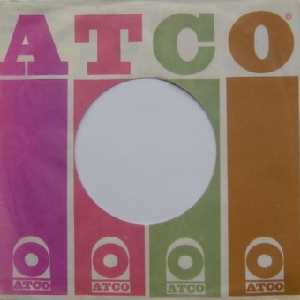 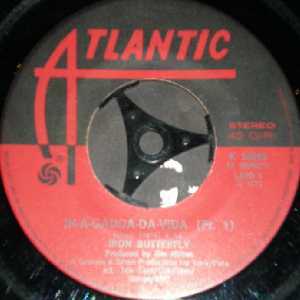 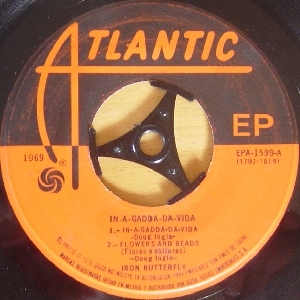 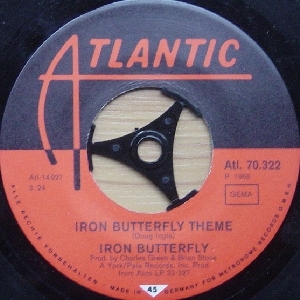 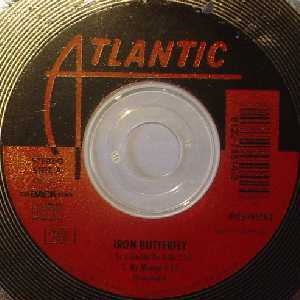 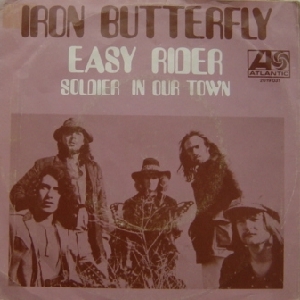 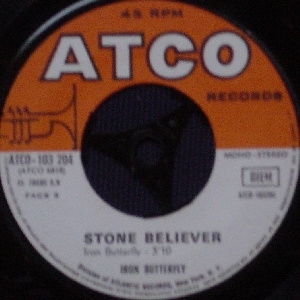 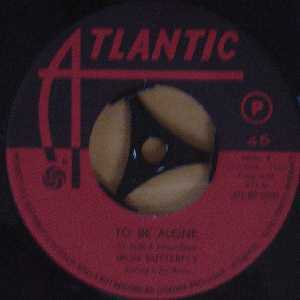 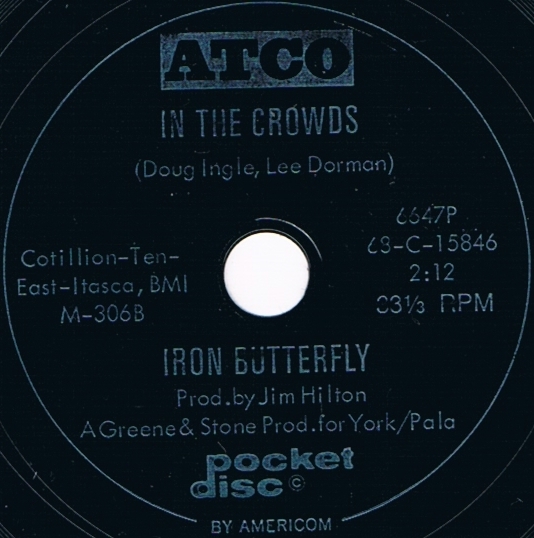 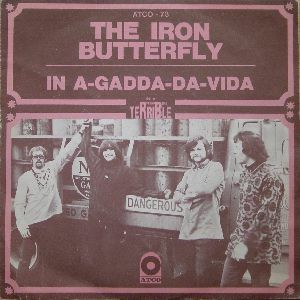 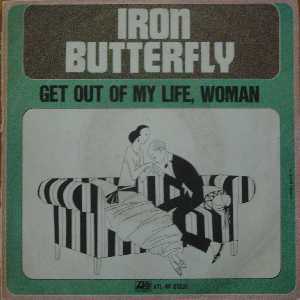 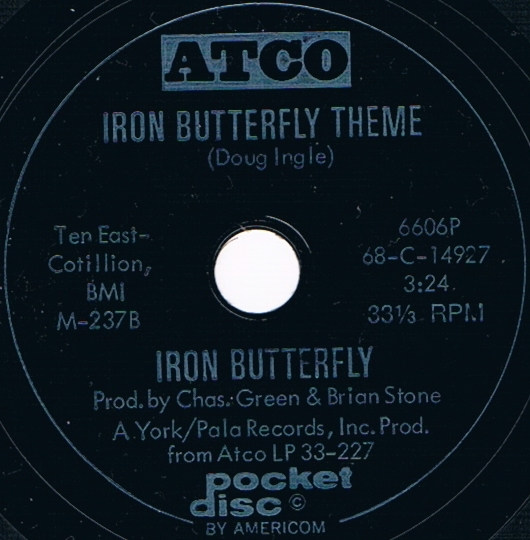 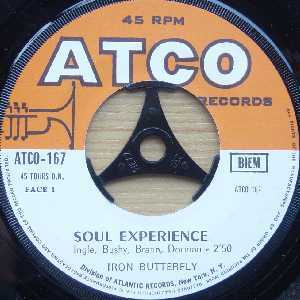 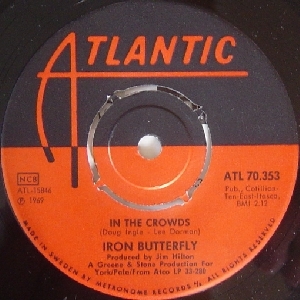 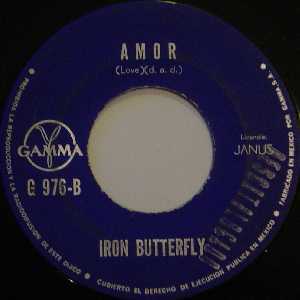 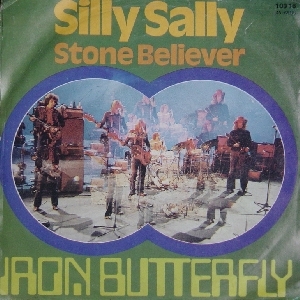 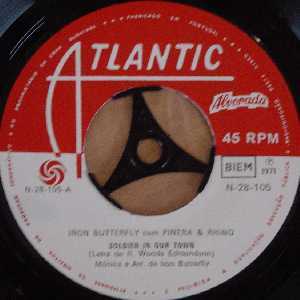 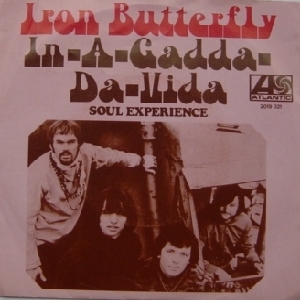 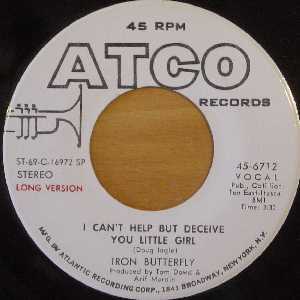 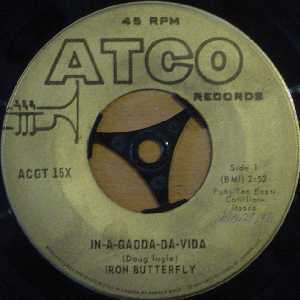 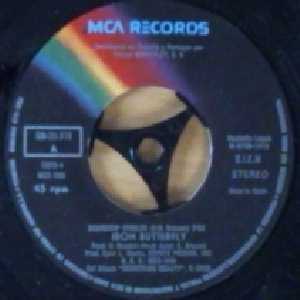 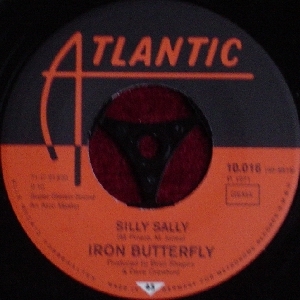 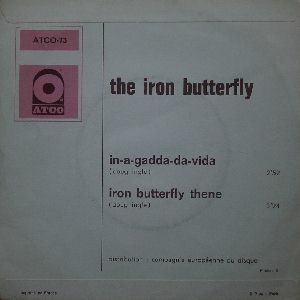 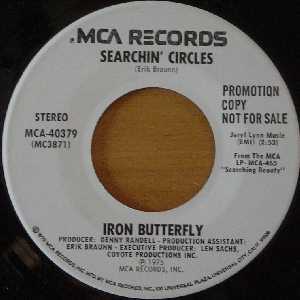 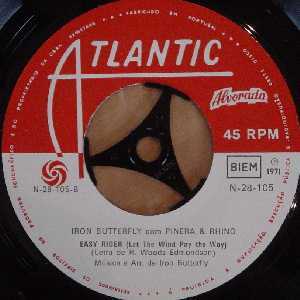 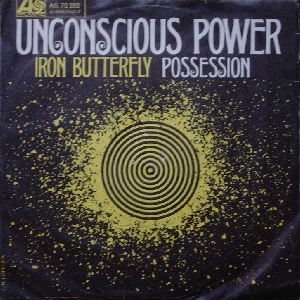 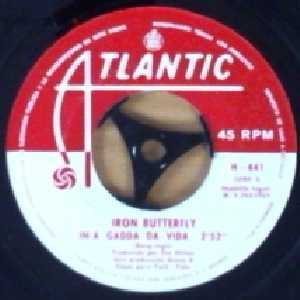 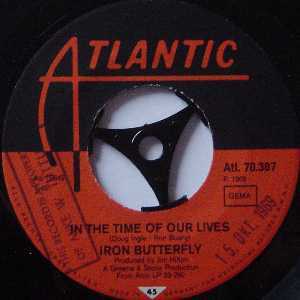 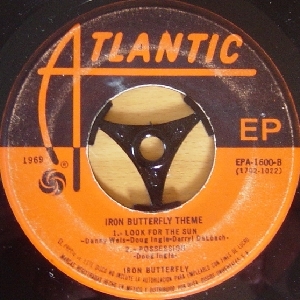 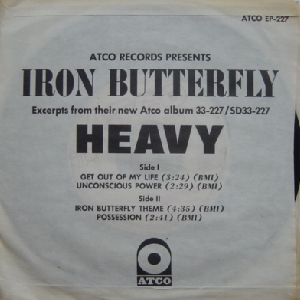 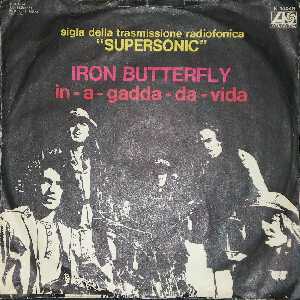 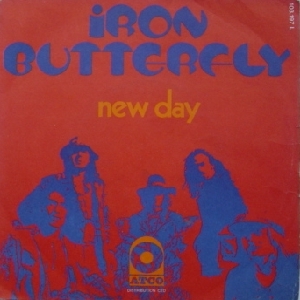 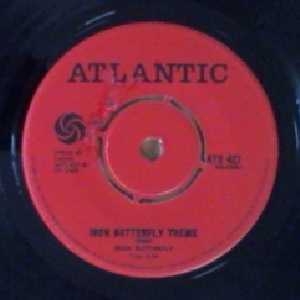 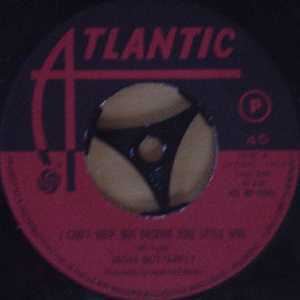 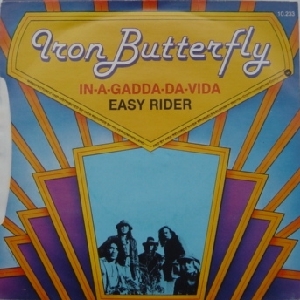 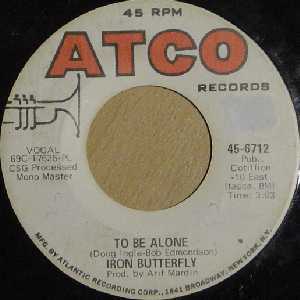 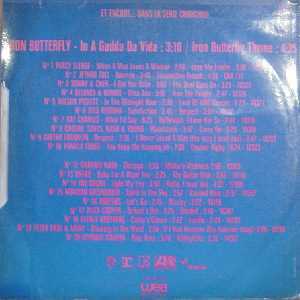 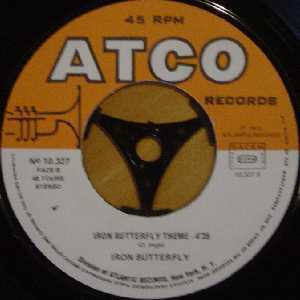 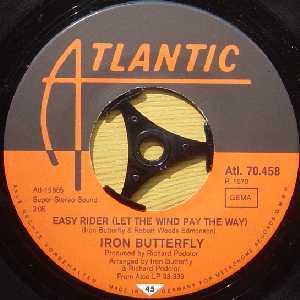 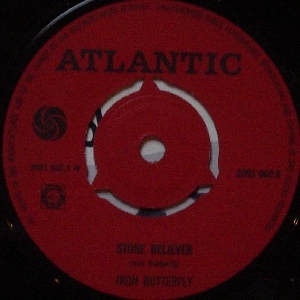 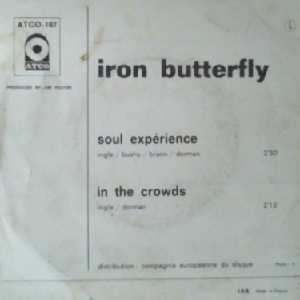 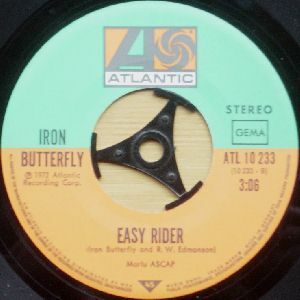 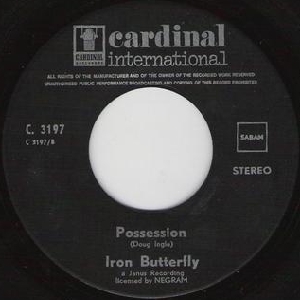 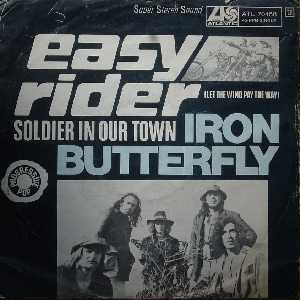 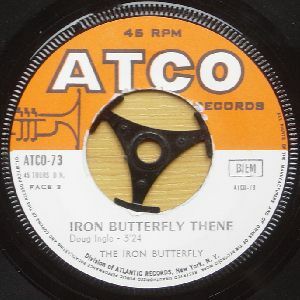 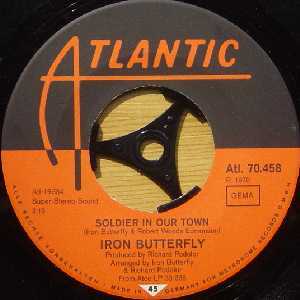 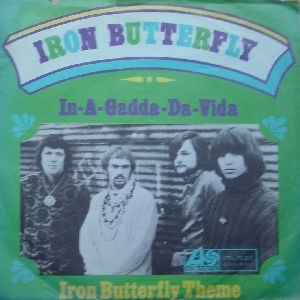 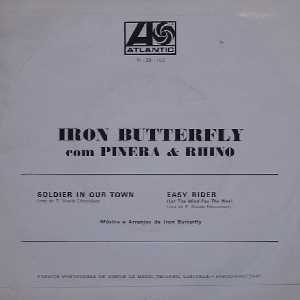 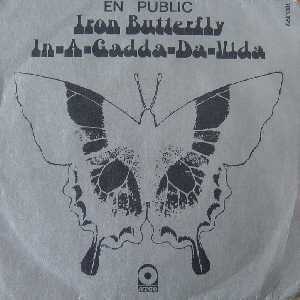 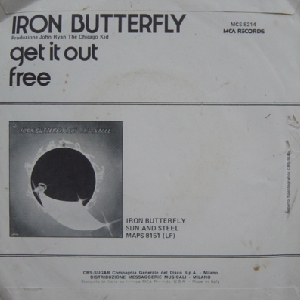 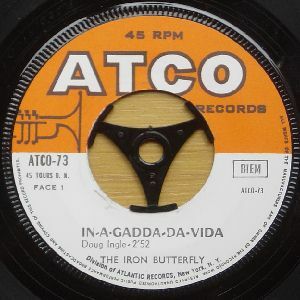 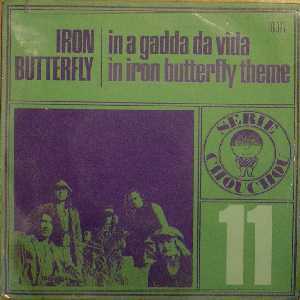 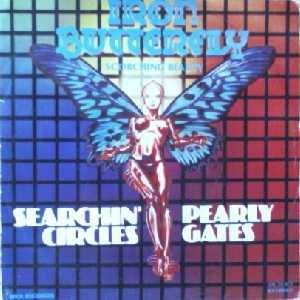 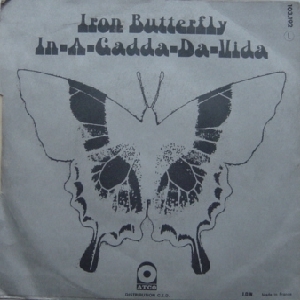 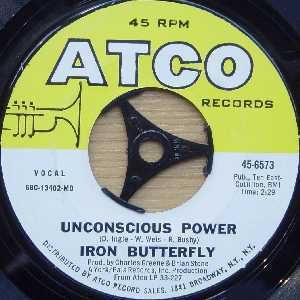 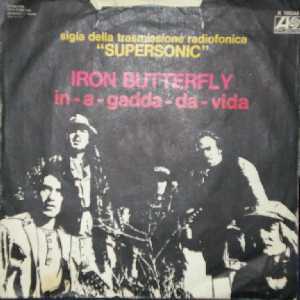 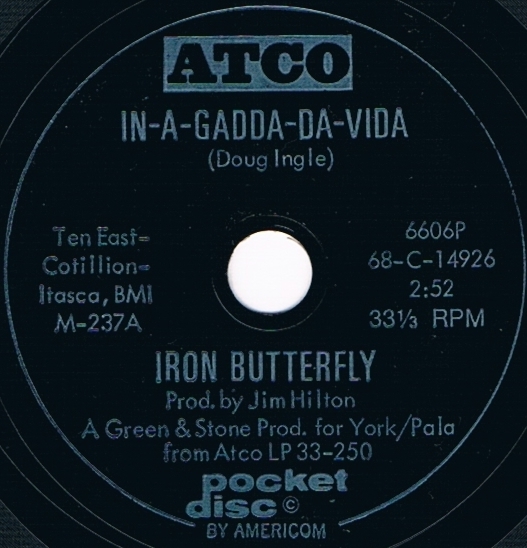 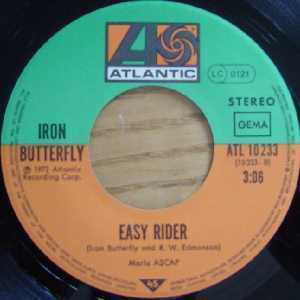 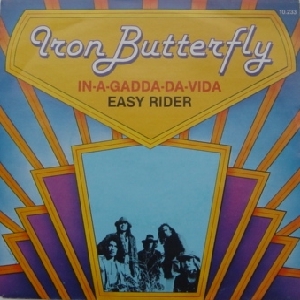 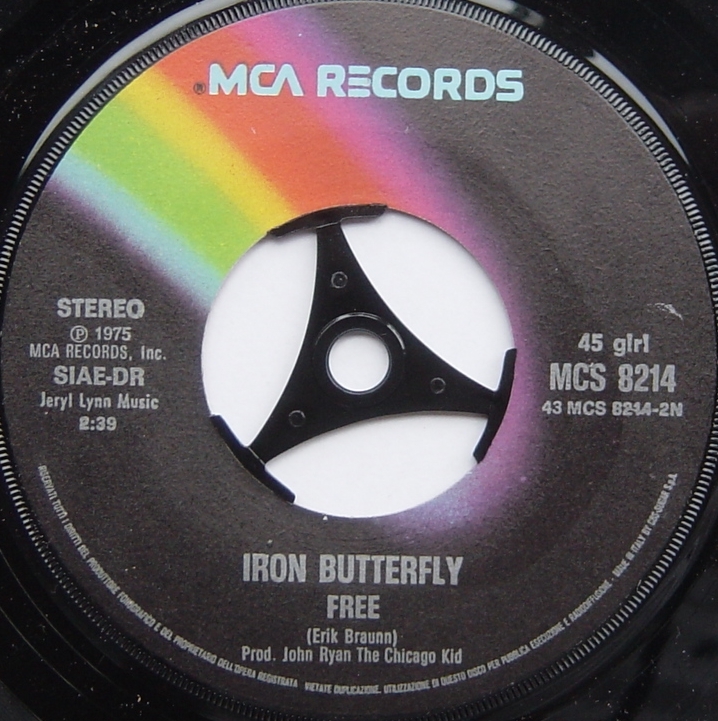 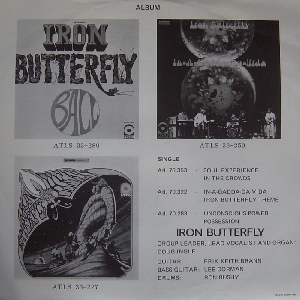 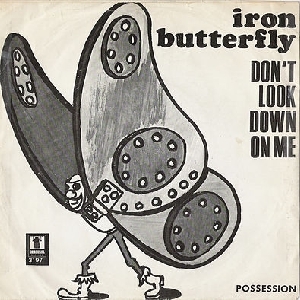 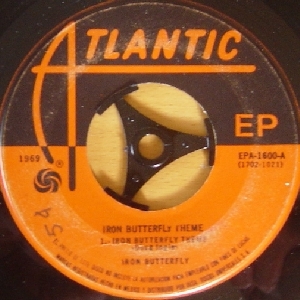 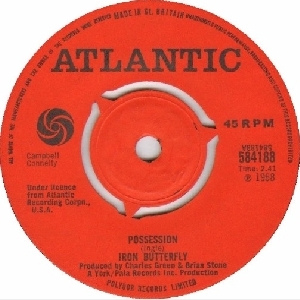 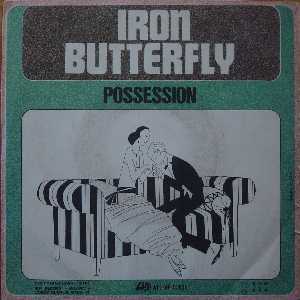 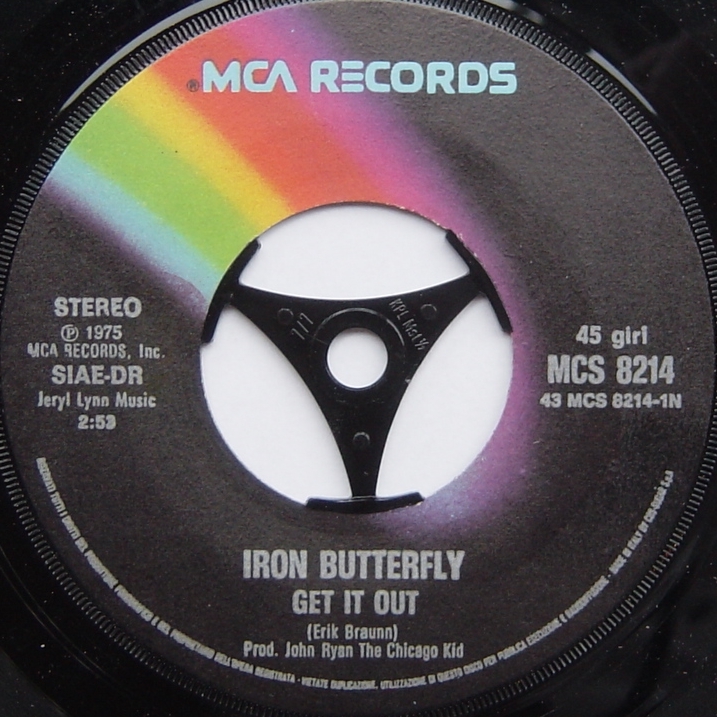 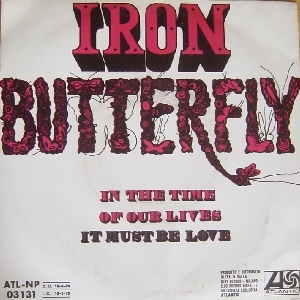 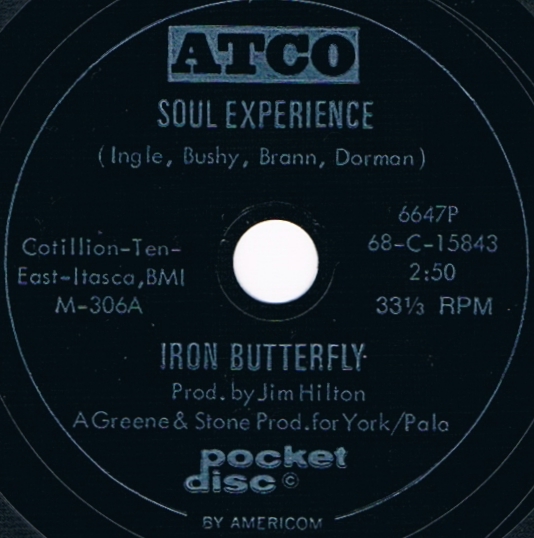 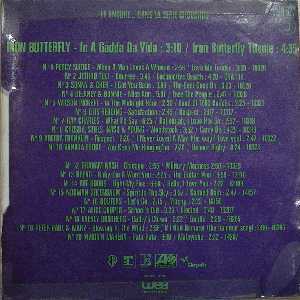 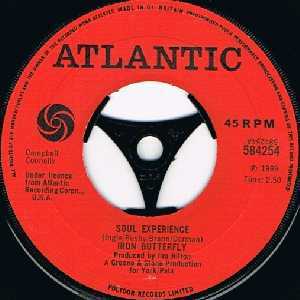 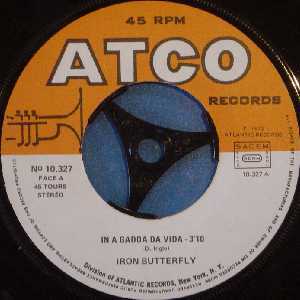 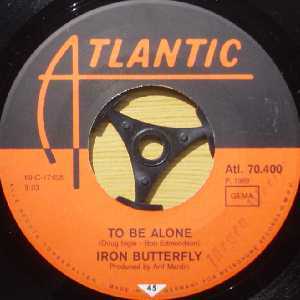 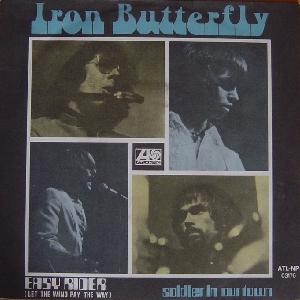 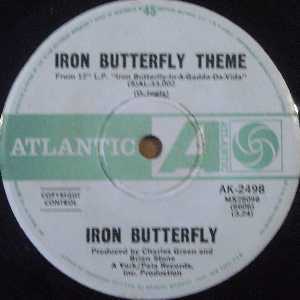 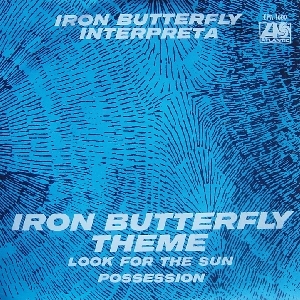 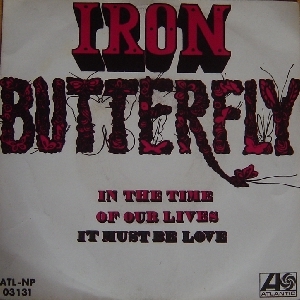 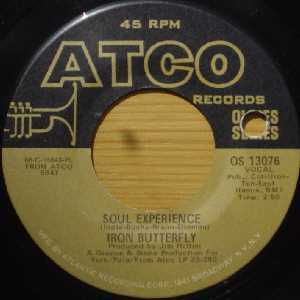 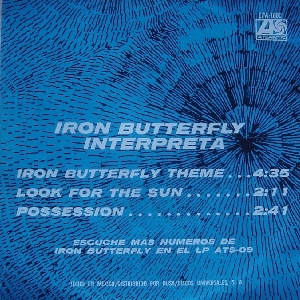 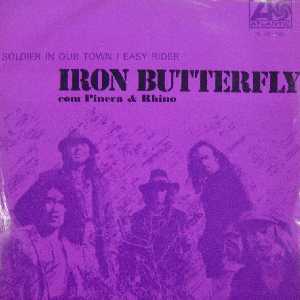 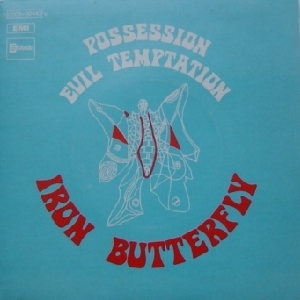 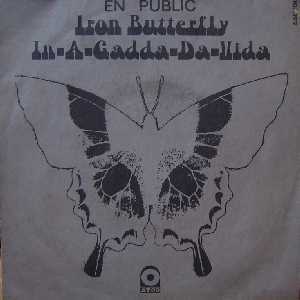 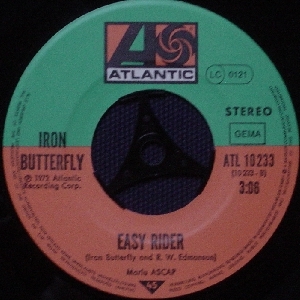 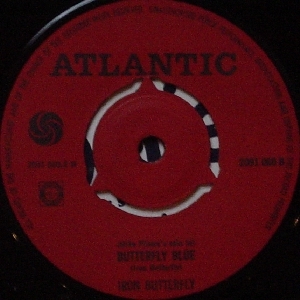 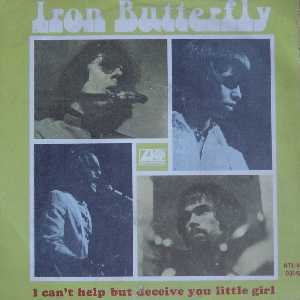 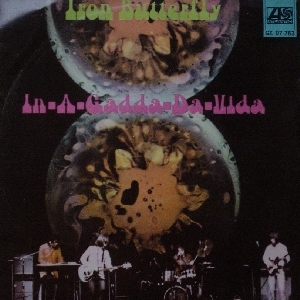 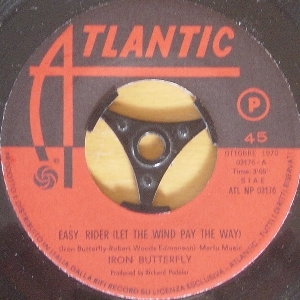 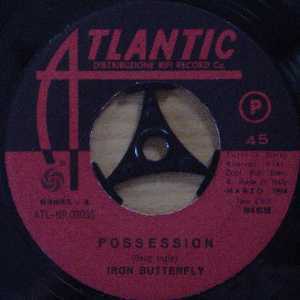 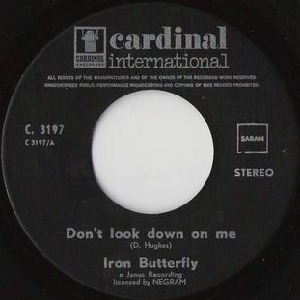 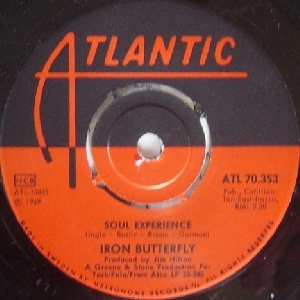 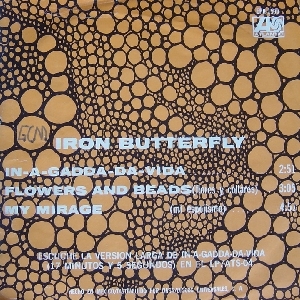 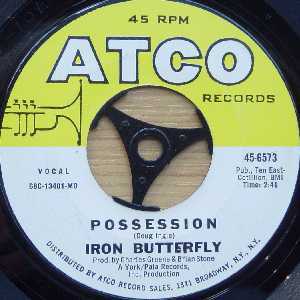 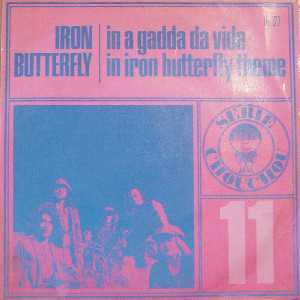 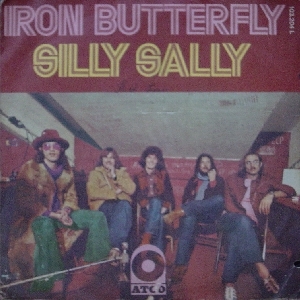 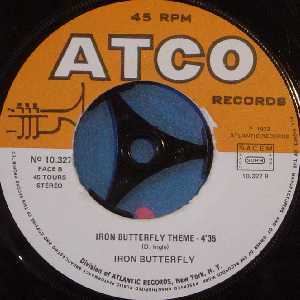 New: please visit a special site to view early Non-Atco recordings by Iron Butterfly! 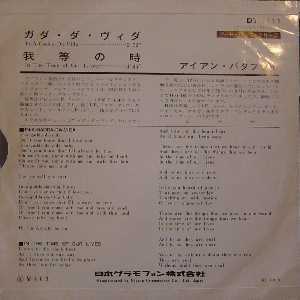 Details: Full length version. 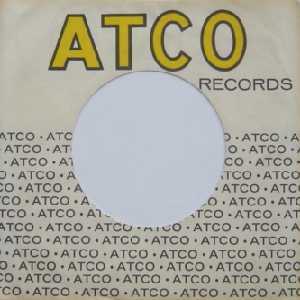 White Label Promo. 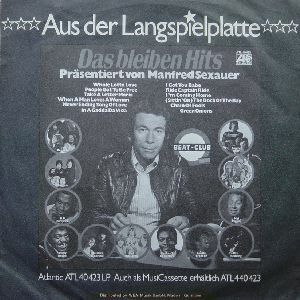 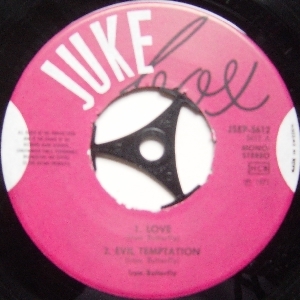 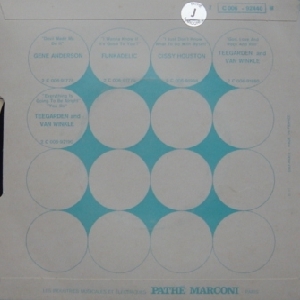 Details: rare Swedish Jukebox EP, featuring the song "Love" unreleased anywhere else, and a unique stereo version of Evil Temptation. 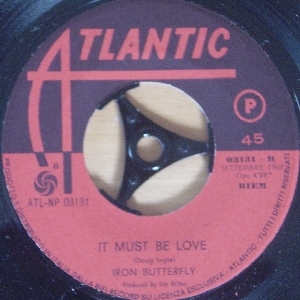 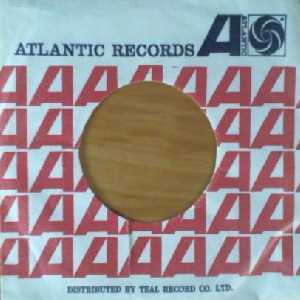 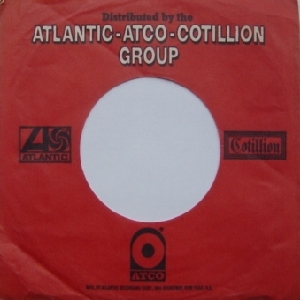 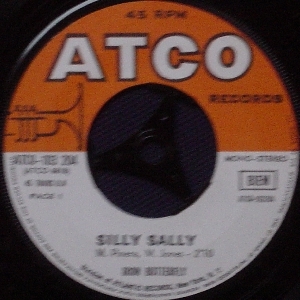 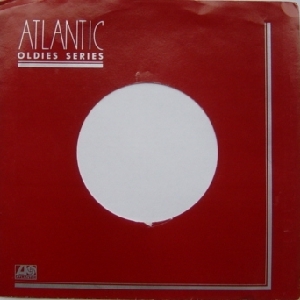 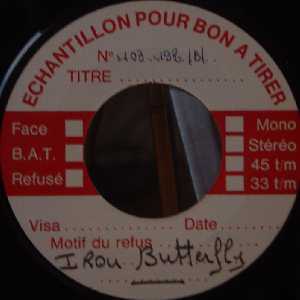 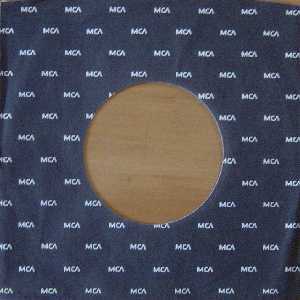 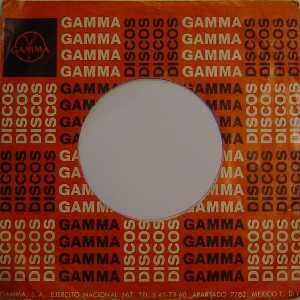 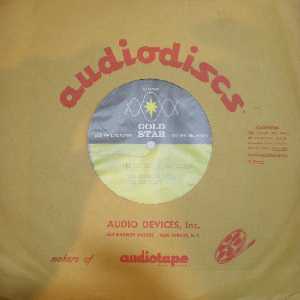 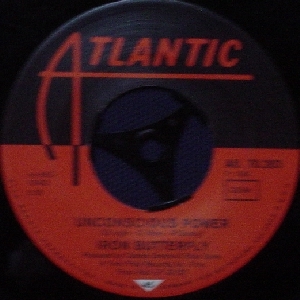 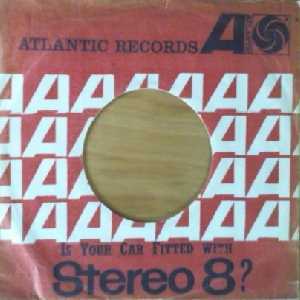 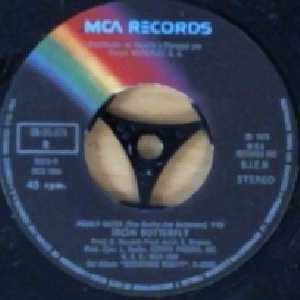 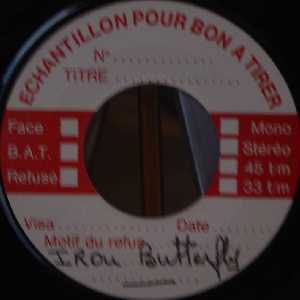 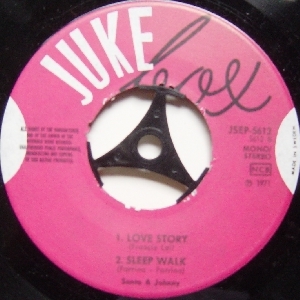 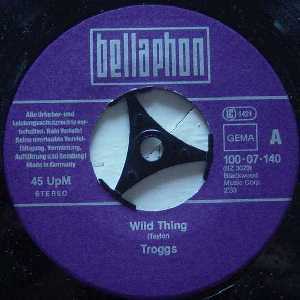 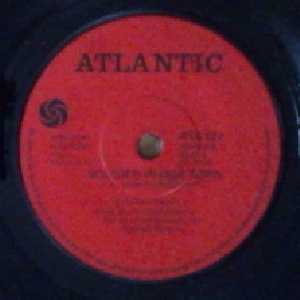 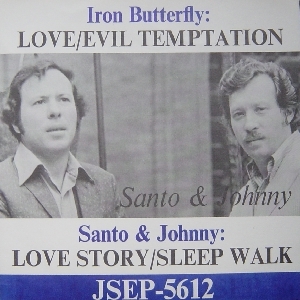 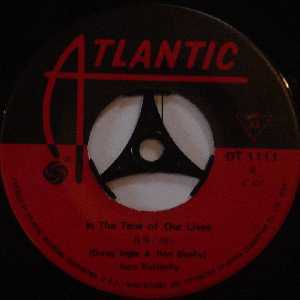 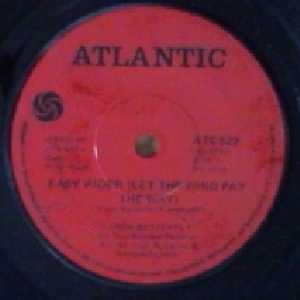 Details: Very rare song, only available on this 45. 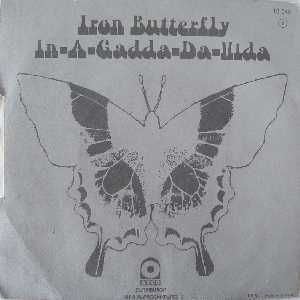 Details: Edited down to a complete song, from the 19 minute live version on Iron Butterfly Live. 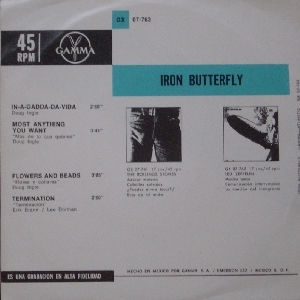 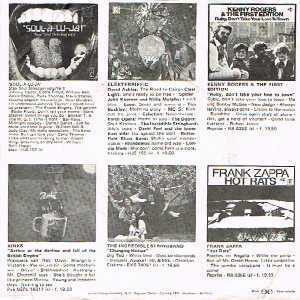 This record and the one below are two slightly different releases. 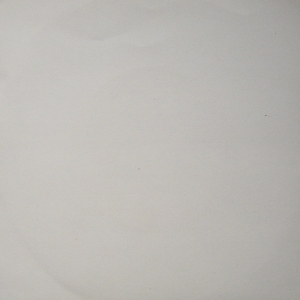 Details: Edited version in Mono without the distortion caused by CSG coding. 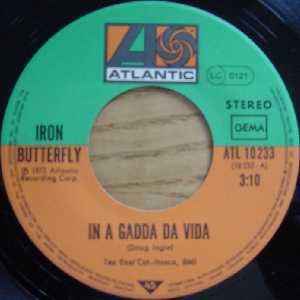 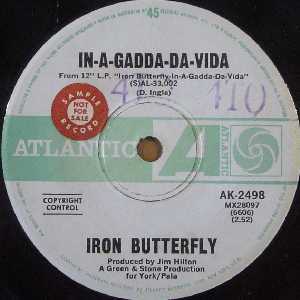 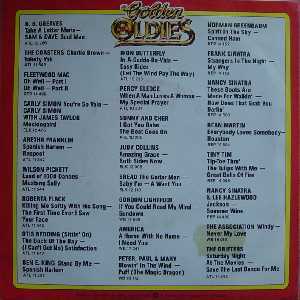 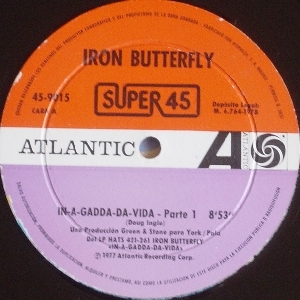 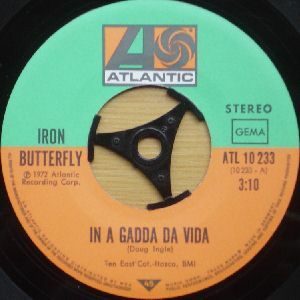 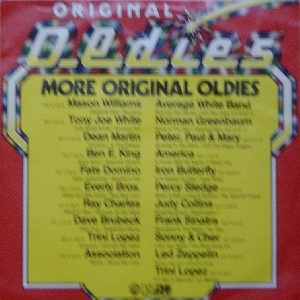 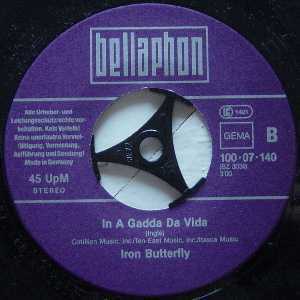 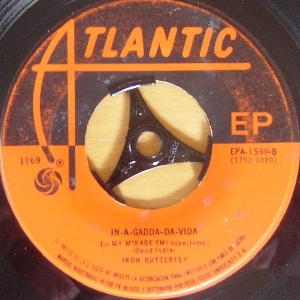 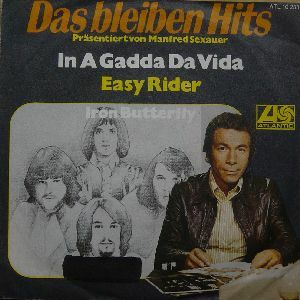 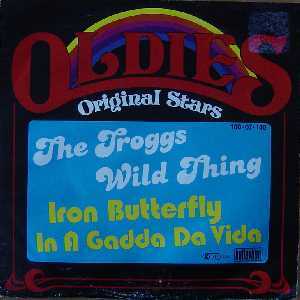 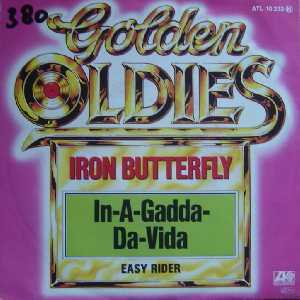 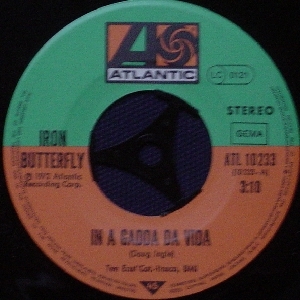 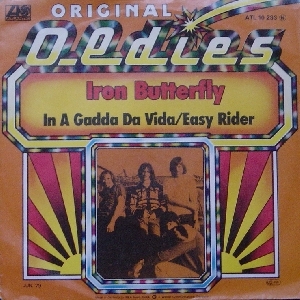 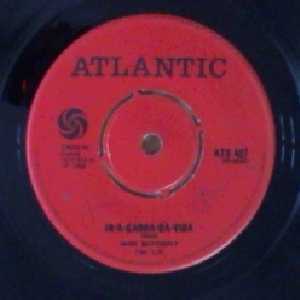 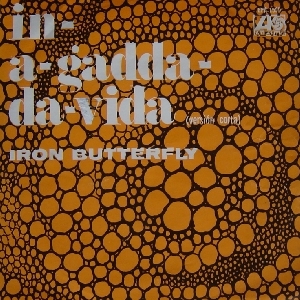 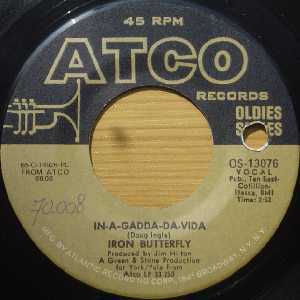 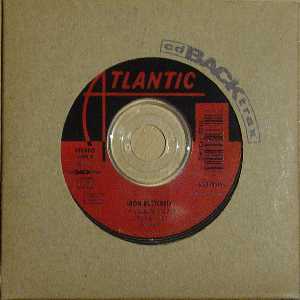 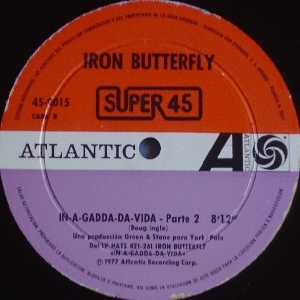 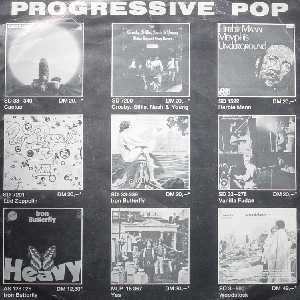 Label error claims that this track is from the In-A-Gadda-Da-Vida LP!